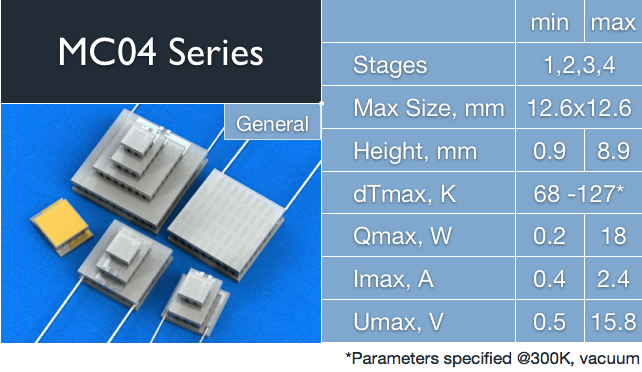 RMT MC group of thermoelectric coolers has three general Series - MC04, MC06 and MC10. 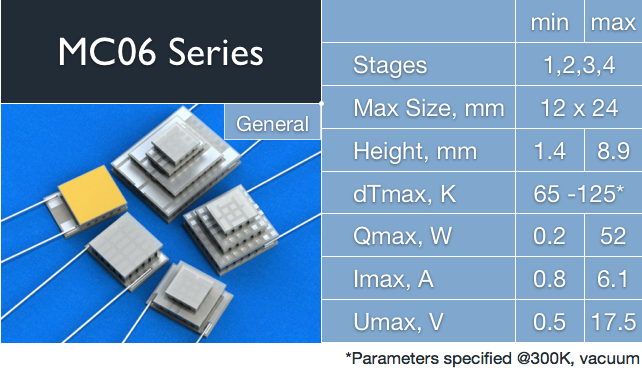 All Series are based on standard assembly technology and contain single- and multistage thermoelectric coolers. The difference between MC04, MC06 and MC10 Series is in internal elements (BiTe posts) cross-section. 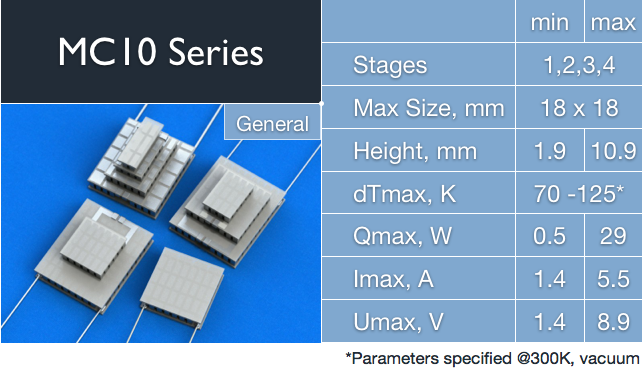 TEC internal elements cross-section is directly connected to TE cooler cooling capacity, operating current range and overall dimensions.